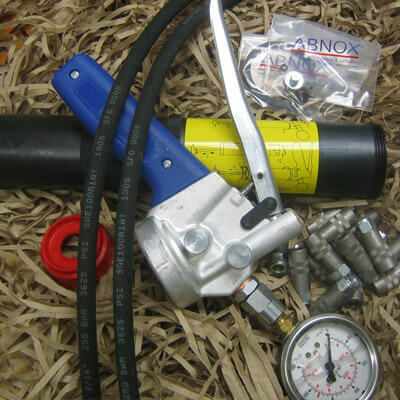 Wanner high pressure grease gun, made in Switzerland, with 0 - 600 bar glycerine gauge. Push rod style for easy grease cartridge exchange (no red piston seal required). Send your grease gun to us and we will repair and return promptly. We stock a complete inventory of parts for same day shipment.